To offer safety value by delivering domestically produced, high quality, hand and body protection in a timely manner. 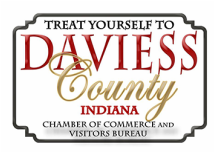 Our plant is located in southwest Indiana. We enjoy a dedicated and talented workforce of people that come together from various lifestyles to see to it that we provide you the finest quality products for your dollar! We are problem solvers. In a world that is ever changing, Tri-Star Glove customizes products to meet industry needs by listening to customers and end users. Identifying threats, developing countermeasures, and delivering high quality knit gloves and protective apparel efficiently is what we do on a daily basis. Trust in us to do what we do best for you! Tri-Star Glove products have been selected "Reader's Choice" by the readers of ​​US Glass Magazine. 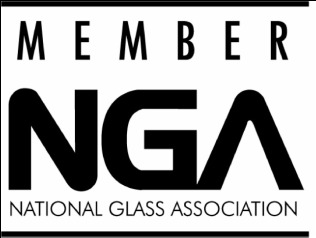 ​US Glass Magazine is devoted to supporting the architectural glass industry. We have standard, fine gauge, and terry cloth knitting machines to produce a wide selection of string knit gloves. We have multiple knitting rooms allowing us the ability to segregate spun yarns from "cleaner" filament yarns. 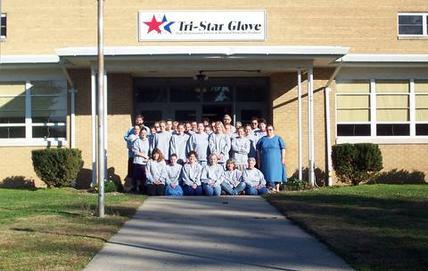 To compliment our glove lines, Tri-Star Glove produces high performance personal protective (PPE) products to protect industrial workers from cuts, heat, abrasion, molten metal splash, and welding sparks. This includes PPE such as: aprons, sleeves, jackets, cape sleeves, bibs, chaps and more.